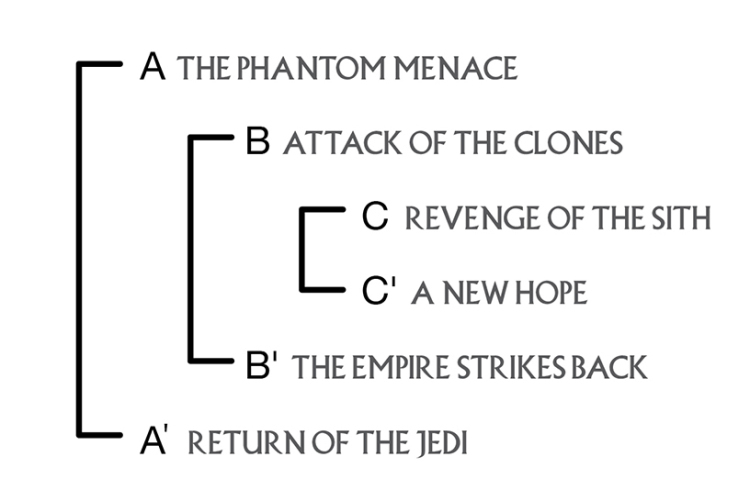 The site Star Wars Ring Theory takes a fascinating and intensely detailed new look at the two Star Wars trilogies as seen through the lens of ring composition, a complex storytelling method. The piece argues that the story creator George Lucas unfolded in the prequel trilogy was far more intricate than many contemporary critics gave him credit for at the time. The “intertextual patternings,” while critical to reading the films the way Lucas intended, are actually small pieces of a much larger, more complex puzzle. And while many have unknowingly stumbled upon some of the pieces over the years, no one has discovered the underlying pattern and discussed how all of the pieces fit together and what the completed picture looks like (and possibly represents)—until now.